Reported directly to the Head of Media Arts Planning to help define TBWA's Media Arts Philosophy and help teach the network how to practice the art of brand behaviour. 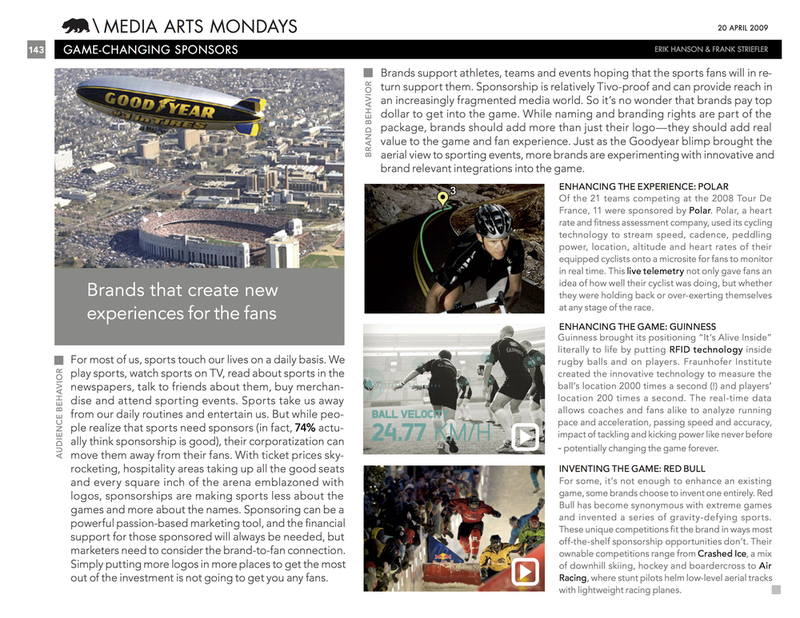 Helped research, write and design Media Arts Mondays, a network-wide newsletter about the Media Arts philosophy syndicated on PSFK. Worked with the heads of Media Arts Planning to turn seven how-to podcasts into one, client-facing podcast about the art of brand behaviour.